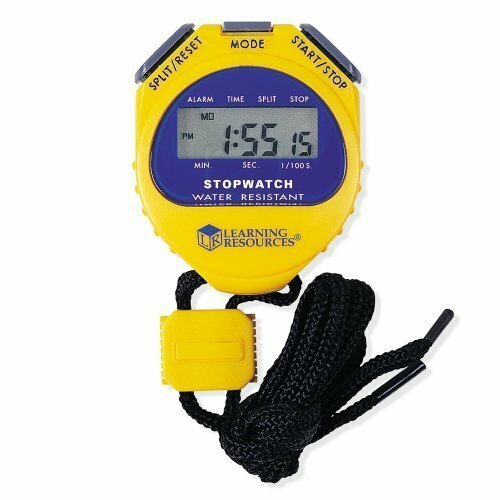 Big Digit Stopwatch .01 Second Incr -LER0525-Easy-to-read display in 0.01 second increments. Features include 12- and 24-hour time, calendar/date display, alarm with hour chime/snooze feature, split-time functions and neck cord. Waterproof.